Double-LP version. 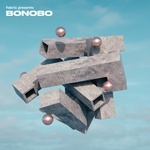 Ushering in an exciting new era for the label, nightclub, and mix series, Bonobo opens the Fabric Presents series. His highly textural aesthetic translates into an ethos that looks to introduce a more open musical palette for the label. His mix features "Roach" from his rare pop-up alias Barakas and employs multi-instrumental arrangements in this 74 minutes of house, techno, electronica, and breakbeat. 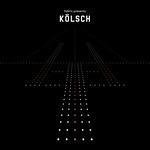 Features ten exclusive or unreleased tracks, including two from Bonobo and one from his Barakas alias. Bonobo's first official mix release since LateNightTales in 2013 and follows on from the world-wide success of Migration in 2017. Also features Poté, Alex Kassian, Âme, Durante, Dark Sky & Afriquoi, Olsen, O'Flynn, TSHA, Will Saul, Titeknots, Dan Kye, R. Lyle, Rhone, Laurent Garnier, Throwing Snow, Nepa Allstar, DJ Seinfeld, Earth Trax & Newborn JR, Annjet, and John Beltran. With the Fabriclive component having reached its conclusion in September, Fabric 100 wraps up the entire Fabric series in its current format, drawing on both the 19 years of parties at Fabric night club and its associated record label that began 2 years into its existence. 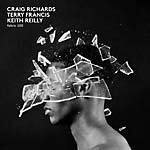 Residents Craig Richards and Terry Francis deliver mixes for Volumes One and Two whilst Fabric founder Keith Reilly presents the third. Though distinct in style, the artists remain fused by their contribution to the electronic scene in London and beyond for over two decades. Richards delivers an electro-infused take whilst Francis's compilation is based around Fabric's rooms 1, 2, and 3: big dance floor sound, techno and experimental. Keith's soulful vocal-inspired house mix leads the historical series to its century. Packaged in bespoke slipcase containing die-embossed tin. Triple CD bundle with each disc packaged in an individual wallet displaying its tracklist. Also features: Monolake, Alphacom, Solar X Brother Nebula, Setaoc Mass, D. Ball, Larry McCormick, Simulant, The Woodleigh Research Facility, Rutherford, Reedale Rise, Fred und Luna, Nancy Noise, Reade Truth, Simon Haydo, DMX Krew, Detromental, Mike Ash, Vectorvision vs Convextion, Orgue Electronique, Patrick Di Stefano & Luca Doobie, Jamie Fairley, Jose Vizcaino, Joeski, Audiojack, Gel Abril, Mauri Fly, Blue Wig, Pure Science, Argy, Kevin Yost, Andre Salmon, Francesco Robustelli, Jaded & James Petrou, Tiefschwartz, Funtopia, Creep Show, Vondelpark,Alex Attias Presents Mustang, Siopsis, Taube, Low Deep T, Eddie Richards, Gideon Jackson, Rancido, Hanna Haïs, Hyenah, and Kollektiv Turmstrasse. 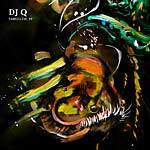 DJ Q provides the 99th installment of FabricLive, the world's leading dubstep, drum & bass, and electro mix series from London's renowned Fabric nightclub. Moving between bassline, UK garage, and bumping house the Huddersfield-born DJ and producer captures the next-generation soundtrack in this mix. Bar one track, FabricLive 99 contains all previously unreleased music and features 15 of DJ Q's own productions alongside cuts from Todd Edwards, TQD, Royal-T, Flava D, Jack Junior, Swindle, and others. Along with Royal-T and Flava D, DJ Q is one third of group TQD renowned for producing jacking dancefloor sounds. Q's 2007 smash hit "U Wot" secured him a six-year stint as a DJ on BBC Radio 1Xtra. DJ Q on the mix: "I made a lot of the music myself and with other musicians I'm close to. I also got in touch with a couple of people for exclusives and remixes. There's a decent amount of VIPs on there too." Features Bassboy, Champion, Mind Of A Dragon & Dakota Sixx, Flava D, Zibba, Claybrook, Moony, N.Y.T.A., Gemma Fox, Robbie Rue Ricardo China, The Heatwave, Mr Lexx & Keida, Thorpey, and TuffCulture. Packaged in bespoke slipcase containing die-embossed tin. 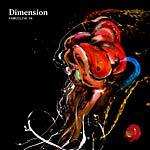 Dimension provides the 98th instalment of FabricLive, the world's leading dubstep, drum & bass, and electro mix series from London's renowned Fabric nightclub. 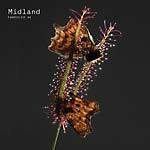 FabricLive 98 is 56 blazing bass tracks creatively bound with energy and sensitivity. 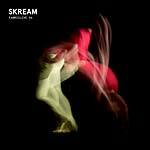 It is a definitive snapshot of drum & bass in 2018 featuring 22 exclusives coming from both bigger acts and underground artists namely deadmau5, Skrillex, Chase & Status, Calyx & Teebee, Metrik, and Dossa & Locuzzed. Early on in Dimension's career a combination of effortless musicality and production prowess caught the attention of producers and DJs such as Andy C and Sub Focus. These days Dimension is receiving mainstream success without deliberately releasing crossover music -- striking the perfect balance between club and radio. Dimension on the mix: "Some of the most talented producers from all around the scene went out their way to create bespoke VIPs from their back catalogue, specifically for the mix". Also features Dimension, RAPHAELLA, Culture Shock, Concept 2, The Prototypes, Document One, 1991, SpectraSoul, Sub Focus, Skrillex My Nu Leng & Flava D, Bensley, Benny L, Dillinja DJ Fresh, Sigma, Sub Focus, Chris Lake, High Contrast, B-Complex, Rockwell, Fred V & Grafix, IllSkillz, Wilkinson, Empire Of The Sun, Turno, Elisabeth Troy, Koncept, Commix, Tantrum Desire, Cyantific, John B, and Dusky. Packaged in bespoke slipcase containing die-embossed tin. 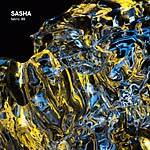 Sasha provides the 99th installment of the world's leading house and techno mix series from London's renowned Fabric nightclub. From playing acid house at the legendary Haçienda to residencies at a number of the world's super clubs and a Grammy nomination, Sasha's career trajectory is unparalleled. His vast discography includes a number of studio albums, remixes for Madonna and The Chemical Brothers, soundtracks for computer games, and a long list of acclaimed mixes. He runs his own management agency out of New York and oversees his imprint Last Night On Earth. Fabric 99 shows off his legendary track transitions and how they enable broken beats and ambient wanderings to sit comfortably alongside dub techno and uplifting house. The continuous DJ mix features a Sasha exclusive, "Smoke Monk (Fabric Mix)". Sasha on the mix "Getting the chance to do this Fabric CD was an honor. Some of my fondest moments playing in London have been at that club. I really wanted to capture what I do there as I feel it's somewhere I play differently to anywhere else in the world." Features Agnes Obel, Quiet Village, Marbert Rocel, Heitzberg Theorem, Kora (CA), Tom Flynn, Indigo, CLOSE, DJ Hell, Joyce Muniz, Ghosts On Tape, Jus-Ed, Whitesquare, Crowdpleaser, Exercise One & Mathew Jonson, Sasha, Objekt, Jono Ma & Dreems, Javier Logares & Kaarel, Tiefschwarz, George Fitzgerald, Carl Craig, Francesco Tristano, Les Siècles, François-Xavier Roth, Antigone, BAILE, and Felicia Douglass. CD version also includes Joe Dukie, Efdemin, and DJ Koze; packaged in bespoke slipcase containing die-embossed tin. Maceo Plex provides the 98th installment of the world's leading house and techno mix series from London's renowned Fabric nightclub. This Miami-born artist came onto the scene with early monikers Maetrik and Mariel Ito before the creation of his signature alias Maceo Plex. The release of his recent studio album SOLAR (2017) took his music into the electronica genre opening his sound to a new scene. Fabric 98 is an eclectic mix of rare '90s grooves, obscure current tracks, and a smattering of Maceo Plex's own edits. The inclusion of exclusives from artists like Architectural, Voiski, Perestroika, Jon Hester, Iron Curtain, and Maceo's electro alias Mariel Ito takes Fabric 98 to a level it deserves. Continuous DJ mix by Eric Estornel -- 80 minutes of deep evolving bass lines and lush soundscapes. Also features Peter Benisch, Pinch, Sebastopol, Jensen Interceptor, Skee Mask, Carl Finlow, Fiberroot, Northlake, Paradigm Shift, Versalife, Brame & Hamo, Joel Mull, D-Vince, Vinyl Countdown, Dold, Orbe, and Hiver. "Fabric is easily one of my favorite clubs in the world and favorite CD series. I wanted to be my organic self and fit as much of the music I love into a modest 80 minutes." 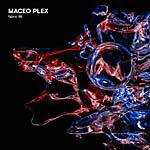 --Maceo Plex Packaged in bespoke slipcase containing die-embossed tin. Holy Goof provides the 97th instalment of FabricLive, the world's leading dubstep, drum & bass, and electro mix series from London's renowned Fabric nightclub. 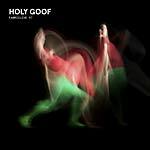 Holy Goof is one of a new young breed of bass driven house artists. Born and raised in Coventry, UK, he gave himself a musical education via hip-hop and Helter Skelter tape packs before moving into UK garage, speed garage, dubstep, 4x4 bassline, UK funky, and bass house. Throwing all his energy into production, Goof's sound started getting support from the likes of Royal-T and Flava D. His first release came out on Certified Bangers and let to multiple record deals that includes DJ Zinc's legendary Bingo Bass label. Holy Goof has laid down 15 exclusives by big-name bass musicians. Goof's past as an amateur boxer is a link to his high energy live sets. HGMusic is Goof's own label on which he has begun releasing tracks. Features AC Slater, Chris Lorenzo, VOLAC, Taiki & Nulight, DJ Zinc, Distinkt, Zero, Bushbaby, Bassboy, Scrufizzer, Champion, Shantie, New York Transit Authority, Notion, Face, Skue-K, Slick Don, FineArt, Brent Kilner, FooR, Skepsis, Kai Ryder, XX92, Darkzy, Bru-C, Pelikann, Deadbeat UK, Mikey B, PVC, My Nu Leng, Iyamah, Joker, Affiliate, Mind Of A Dragon, and Zomby. Packaged in bespoke slipcase containing die-embossed tin. 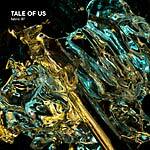 Tale Of Us provides the 97th installment of the world's leading house and techno mix series from London's renowned Fabric nightclub. Tale Of Us, Carmine Conte and Matteo Milleri, debuted in 2011 on Visionquest and quickly went on to become masters of their own productions. Their current project is the imprint and worldwide event series Afterlife -- already popular for its Realm Of Consciousness recordings. 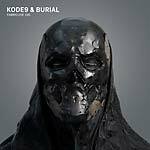 They released a classical/ambient crossover remixed LP Endless in 2017. Fabric 97 is presented in the pensive techno style on which Tale Of Us have built their reputation. Thirteen exclusive tracks are spread across the Afterlife label regulars and unreleased upcoming artists. A continuous DJ mix with mostly unreleased material. The overall effect is a polished and personal showcase of the brand that Tale Of Us have shaped over the last couple of years. Features Tom Flynn, Recondite, Trikk, Agents Of Time, Mind Against & Aether, Pisetzky, Efdemin, DJ Koze, Reference, Marino Canal, Fideles, Patrice Bäumel, Mathame, Denis Horvat, Brian Cid, Fur Coat, Adana Twins, Soulholic & 7Options, Kevin de Vries, Tale Of Us, and Adriatique. Packaged in bespoke slipcase containing die-embossed tin. 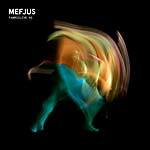 Mefjus provides the 95th instalment of the world's leading dubstep, drum & bass and electro mix series from London's renowned Fabric nightclub. Mefjus's career kicked off in 2012 after Phace & Misanthrop signed his "Distantia"/"Far Too Close" track to their label. Other labels took notice and he began his relationship with Critical Music. 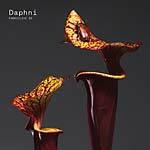 FabricLive 95 features all of Mefjus's own productions, remixes, and collaborations across a 29-strong tracklist. Channeling the kind of raw energy that's become a staple of Mefjus's DJ sets, it combines his skull-shattering brand of neuro-funk with turbulent soundscapes, varying and different takes on d&b's blueprint, and the kind of flawless mix downs that have made him the poster-boy for the genre's next generation. Features some earlier releases, some brand new material, and a number of unreleased VIPs. 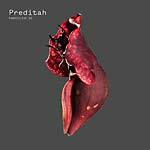 Features Kasra, Noisia, Camo, Krooked, Ivy Lab, Phace, InsideInfo, Emperor, Current Value, June Miller, and Misanthrop. Packaged in bespoke slipcase containing die-embossed tin. Roman Flügel provides a continuous DJ mix the 95th instalment of Fabric's mix series. 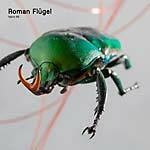 Alongside a few other Frankfurt-based techno artists in the early '90s, Roman Flügel formed the spine of the scene for the next decade. His numerous production aliases include Eight Miles High, Soylent Green, Tracks On Delivery, and Roman IV. 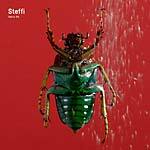 It is the independent German label DIAL with whom Flügel has largely worked most recently releasing three albums and a load of EPs. Fabric 95 is typical of the sound he champions -- abstract and tense at times, but ultimately warm and inviting. A quirky, idiosyncratic track listing that goes from blissful, dark, and dubby. 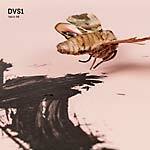 Features a collaboration between Roman and Ricardo Villalobos as RiRom. Roman Flügel on Fabric: "The club has been incredibly supportive for so many years now! I will never forget our first live performance as Alter Ego during the peak of the success of our single 'Rocker' in room one. It was pure mayhem..." Features: Genesis P-Orridge & Psychic TV, Tuff City Kids, Joe Goddard, Benjamin Fröhlich, Roman Flügel, Koehler, Ishi Vu, Pale Blue, Pional, Lawrence, Two Of A Kind, Eamon Harkin, Red Rack'em, El Kid, Larnak Artefax , Randomer, Rebolledo, Danny Daze & Shokh, DJ Normal 4, F.B.Wibe, Karma, Ghost Culture, Fetnat, Solitary Dancer, Bartellow, and D.H.S.. Packaged in bespoke slipcase containing die-embossed tin. Known for her place in the Ostgut Ton family as a club resident and contributing label artist, Steffi's career has spawned five albums with a sixth due in the fall of 2017. She has releases on Permanent Vacation and Underground Quality, and oversees three of her own labels: Klakson, Dolly, and Dolly Dubs. For Fabric 94, Steffi commissioned all the tracks exclusively for her continuous mix. The compilation takes the ambient atmosphere of Warp's Artificial Intelligence CDs as a starting point and then travels far beyond it, navigating through retro-futurist landscapes and exploring the more abstract, broken elements of house, electro, and techno. All 15 tracks are also assembled into a stand-alone 12" vinyl series, Dolly Deluxe. Steffi on the release: "When Fabric approached me to do a mix cd I wanted to do something special, so I approached my inner circle and some of my favorite producers to ask if they wanted to produce a track specially for this project with a certain mindset." Features: L.U.C.A., Voiski, STFSHD, Unbalance, Doms & Deykers, Answer Code Request, Dexter, 214, Mesak, Duplex, Late Night Approach, UAS, Afik Naim, Virginia, and Privacy. Packaged in bespoke slipcase containing die-embossed tin. Soul Clap presents a continuous mix for the 93rd installment of Fabric's mix series. 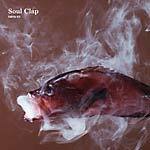 Soul Clap carve hip hop, funk, soul, and disco into a modern house music sound. The Boston raised and NYC based DJ and production duo reach a decade of releases in 2017 and Fabric 93 takes the baton from 2016's self-titled artist album and their 2015 EP with seminal funk legend George Clinton. The spirit of house is represented with Ancient Deep, Ken Gill, and Daev Martin, the voice of Life On Planets vocalist Phil Celeste, to the Afro styles of Sol Power All-Stars and Maajo, to the classic samples of Barbara Tucker, Indian Ocean, and Storm & Herman. Also features: Scott Grooves & Ian Fink, Derren Smart, The Return, Jay Daniel, Life On Planets, David Marston, Jesse Futerman/I-Robots, Hidden Spheres, Donna McGhee, Carlos Mena, Lonely C & Tom Trago, Spaventi Dazzurro, Midnight Magic, Morgan Wiley, No Regular Play & John Camp, Harvey Sutherland & Bermuda, SuRFBiT, Taylor Bense, Martin Heimann, Moon B, Zacky Force Funk, Kutmah, Château Flight, P.J. Choir, Youandewan, Cornerbred, Willie Burns, Tom Noble, The Pool, Nu Guinea, The Hue, Jack Novin & Matt Grone, Zopelar, Conga Radio, Elikeh, Joakim, and Jimi Tenor & Tony Allen. Paul Woolford, aka Special Request, provides a continuous mix for the 91st installment of Fabric's mix series. Following a slightly surreal and cavernous beginning, the classic UK techno of Caustic Window (an alias of Richard D. James - Aphex Twin) opens up proceedings and laying the foundation of the mix. The momentum builds as the ruthless tones of 214's "Frostbite" signify a turn into darker waters. The murky tension sets the scene for the first of six new Special Request tracks, "Redrum". Then, Stefan Vincent's lush emotive "Aquilae" and a voice recording from Cristian Vogel's "Atomic Layers" provide a pause to breathe before the descent into the second half, where the mix travels rapidly through various shades of jungle, drum & bass, and noise, from the dubwise movement of Forest Drive West, to classic Dillinja and beyond with the mix peaking with the furious jungle of "Stairfoot Lane Bunker" and the drum & bass of DJ Trace & Nico. Special Request Recent BBC Radio 1 Essential Mix and 3x 12" EP releases on XL Recordings, the same label as Adele, Radiohead and The Prodigy. 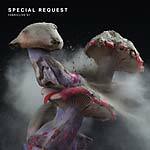 Special Request's debut album on Houndstooth, Soul Music (HTH 012CD/LP, 2013) was listed #1 album of the year by DJ Mag. The mix follows Special Request's BBC Radio 1 Essential Mix and three 12" EP releases on XL Recordings. Also features: Aleksi Perälä, DJ Stingray, Plastician, Claro Intelecto, Polygon Window, Abul Mogard, Dexter, Alden Tyrell, Stanislav Tolkachev, Shapednoise, Justin K Broadrick, Rood Project, DJ Future & Eric Electric, Keith Fullerton Whitman, Nolige, ASC, Carl Craig, and Mika Vaino. Call Super, aka JR Seaton, presents a continuous mix for the 92nd installment of Fabric's mix series. 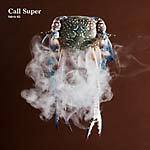 In a few years, Call Super's versatility has marked the London born DJ and producer as one of the brightest new lights on the electronic music landscape. His rise has been steady and remarkable, reinforced at every stage with music that draws on a panoply of influences. The son of a New Orleans jazz clarinetist, his curiosity for music was driven by a childhood playing Spanish guitar and the piano before being anointed as a teenager into the London club scene. For JR Seaton, this mix is highly personal; it eschews the common computer based approach and gives the listener a snapshot of a misty reality of the late hours once peak time has begun to fade. Seaton said this about the mix, "This isn't about getting beat upside the head, this is us dreaming in the dawn." Call Super was the first artist to be signed to Fabric's artist-led Houndstooth label. Packaged in bespoke slipcase containing die-embossed tin. Features: Beatrice Dillon & Rupert Clervaux, M:I:5, Jan Jelinek, Dresvn, Objekt, Two Full Minds, Photek, Don't DJ, Flanger, Carl Craig, Call Super, Marco Bernardi, Jega, Shanti Celeste, Bitstream, Bruce, Convextion, Karen Gwyer, Thomas Ankersmit & Valerio Tricoli, Walter Brown, Yves Tumor, Max Loderbauer, and Speng Bond.